My friends at Rosemont Media recently asked me to extend my reach by including social media. I am from the generation where it was unprofessional to advertise and market. Now I am being asked if I would be interested in tweeting to Twitter and posting to Facebook. I have been resistant to get involved with social media for many reasons, but one of the most important involves the following question; Do people look for their dentist through Facebook or Twitter? I never thought so. I’m a word of mouth kind of guy. I was late in getting a website; who needs a website, right? I believe you build it and they will come. I built a dental practice, patients will come. But my vision of how these things work was shattered by one patient just a few years ago. Stu, a long-time patient of mine (and very successful in the business world) was in the office for a routine appointment with my hygienist when he overheard some excitement in an adjacent treatment room. When I went in to examine him he asked what all the joviality was about. I told him that the excitement was because we had just finished a full mouth reconstruction on a patient. A new white smile, ceramic veneers and crowns, a new bite and a very, very happy patient. And you know what he said? “Dr. Shukovsky, I didn’t know you do all that! How do you let people know about the work you do?” My answer: “By word of mouth.” Immediately, my answer felt pretty lame to me. “How do you let people know about the work you do?” Those words have stayed with me and, as you can see, are still with me. Even now, when I see Stu, I think of those words. In today’s world of iPhones, iPads, computers, Androids, Blackberrys – the social network has gotten so intertwined and vast. Thomas Friedman’s book, The World Is Flat, fits in here too. We are all connected, sometimes more than we know. So if a patient, say Nancy, ‘likes’ me, I have learned, all of Nancy’s ‘friends’ now know who Nancy ‘likes’ as her dentist. This makes word of mouth look more like the pony express. Two years ago, at the American Academy of Cosmetic Dentistry’s annual meeting, a speaker showed the power of social media in extending our reach. He showed two people on the telephone. Two people. It was the word-of-mouth approach. But then he showed the connections of social media. It was stunning. The connections that developed in real time video ended up looking like a giant ball of rubber bands. Connections upon connections upon connections. Even then, I didn’t think that things like tweeting were for me. But I have evolved into the 21st century. It is about getting the word out so more patients have the option to make better informed choices about their own care. If a patient doesn’t know that Invisalign can easily correct a minor problem that is of a concern of his or hers, we have not done our job. Or that a dentist can make an appliance that significantly reduces snoring, we have not done our job. With all the neat technology, materials and techniques that we have available to us today, and there is a long list of these, it is our responsibility to let both existing and future patients know what is available. Social media should help get that word out. And that’s why I’m in. 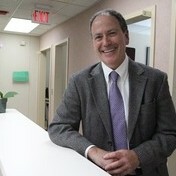 Click here to read another blog that Dr. Shukovsky wrote about comprehensive dental care.